Major Gowen of Queen Victoria's Army in India has taken his wife Sybil and their 7 year old son Basil on holiday in New Zealand. Today they are exploring the art and culture of the Maori. 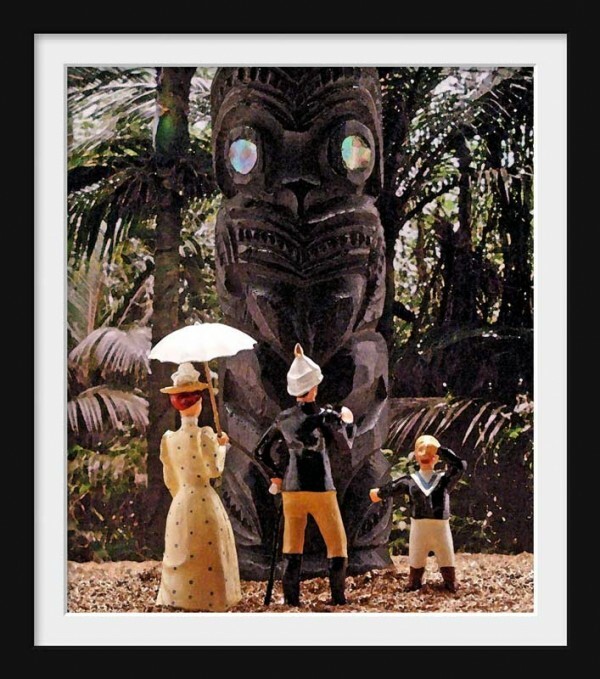 "But Papa you said we could bring back a souvenir from New Zealand and I think this statue would look smashing in the yard outside our bungalow!"